After watching this video on Youtube about using Coconut Oil on hair, I’ve been super inspired to try Coconut Oil for myself. She has the most beautiful hair ever! I’ve used Olive Oil in the past and I really like it – but I learnt that Coconut Oil is meant to work way better on hair. 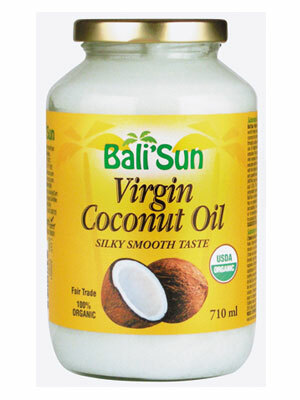 So – I am so excited today because I just bought my own Organic Virgin Coconut Oil and I cannot wait to start using it!! The brand I got is called Bali’Sun and I got it from the Genesis Health Store on Davie Street (in Vancouver, BC).